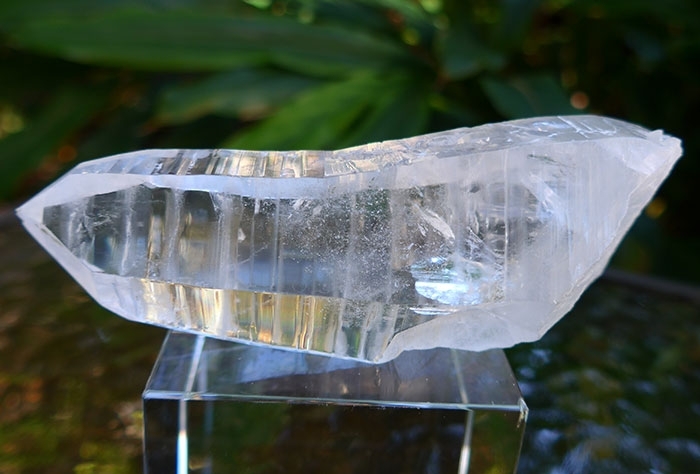 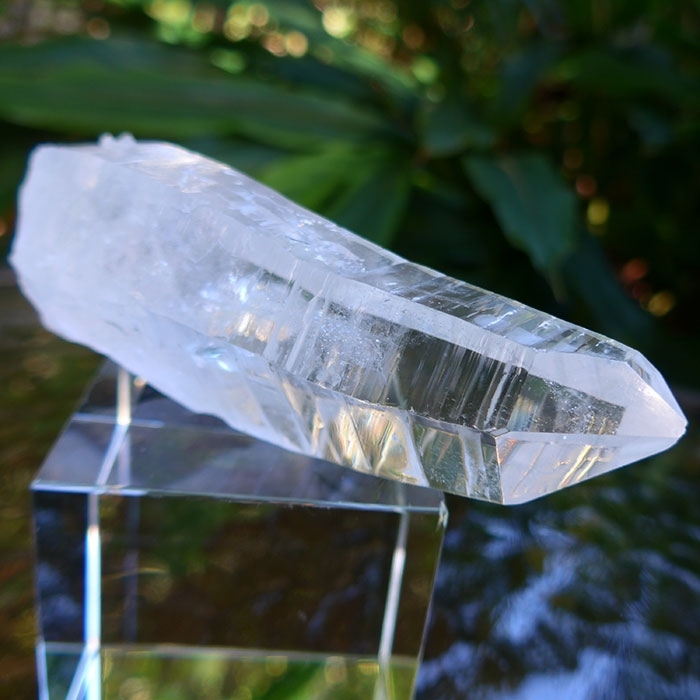 Dimensions (HxWxD): 4.5" x 1.6" x 1"
This 4.5 inch long brilliant water-clear Curved Diamantina Quartz Wand weighing 181 grams or 6.4oz, is from Diamantina, in the state of Minas Gerais, Brazil, is virtually flawless. 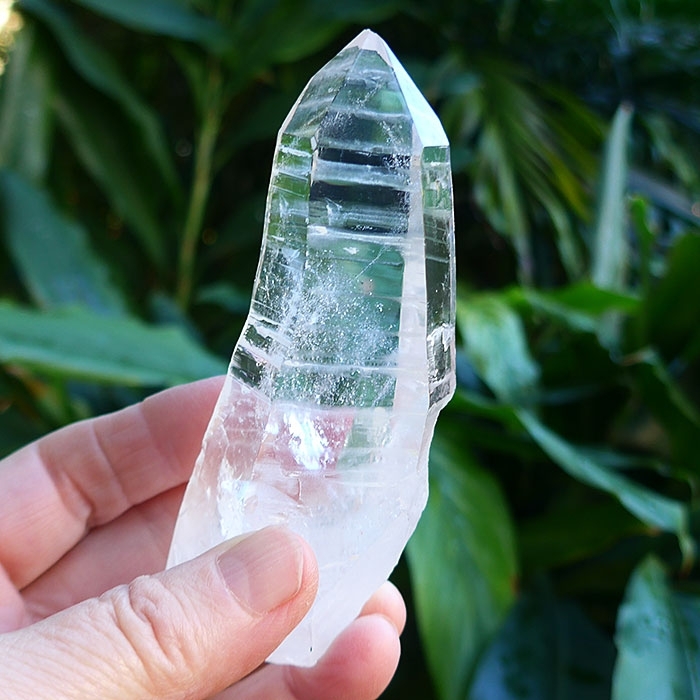 This gorgeous, unblemished water clear wand will be an energizing presence on your altar, desk, or side table, in your den, office, or bedroom, and it's not too big to hold in the hand for crystal healing work or during meditation. 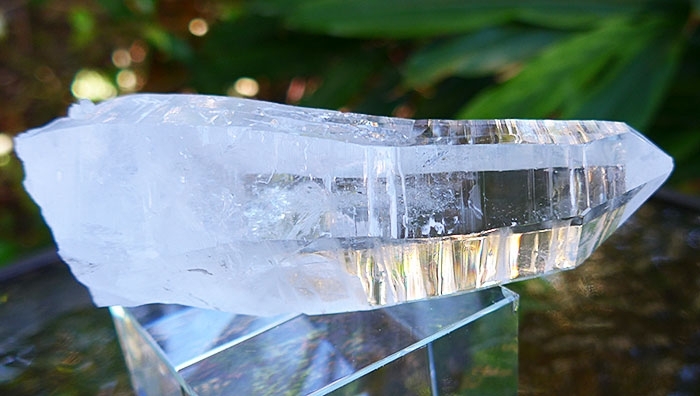 Note: Weight above is shipping weight. 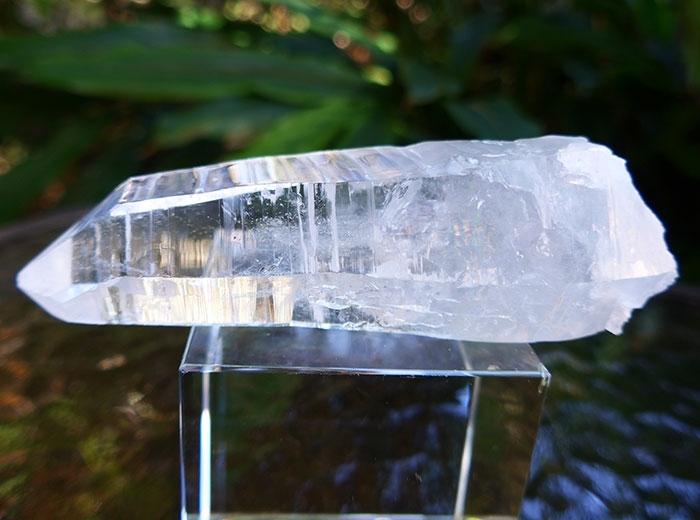 Net Weight is 181 grams or 6.4 oz.